What compensation or offsets are offered for acquisition, and how are they funded? Is there a local or national history of compulsory property acquisition by government for a range of purposes? Is compulsory acquisition restricted to certain types or locations of densification? Where existing housing is acquired, are there obligations to provide alternative housing arrangements? 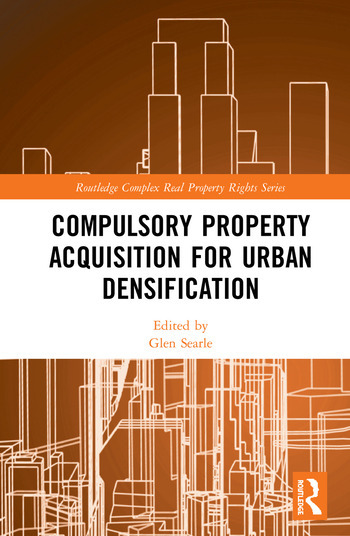 The central aim of the book is to summarize international experiences of the extent to which property rights have or have not been protected in the use of compulsory property acquisition to achieve sustainable cities via urban densification. It is essential reading for all those interested in planning law, property rights, environmental law, urban studies, sustainable urban development and land use policy. Glen Searle is Honorary Associate Professor of Urban and Regional Planning and Policy at the University of Sydney, and Adjunct Associate Professor in Planning, University of Queensland, Australia. He is the former Editor-in-Chief of Urban Policy and Research.